Valkyria Chronicles | How Can It Be Improved? 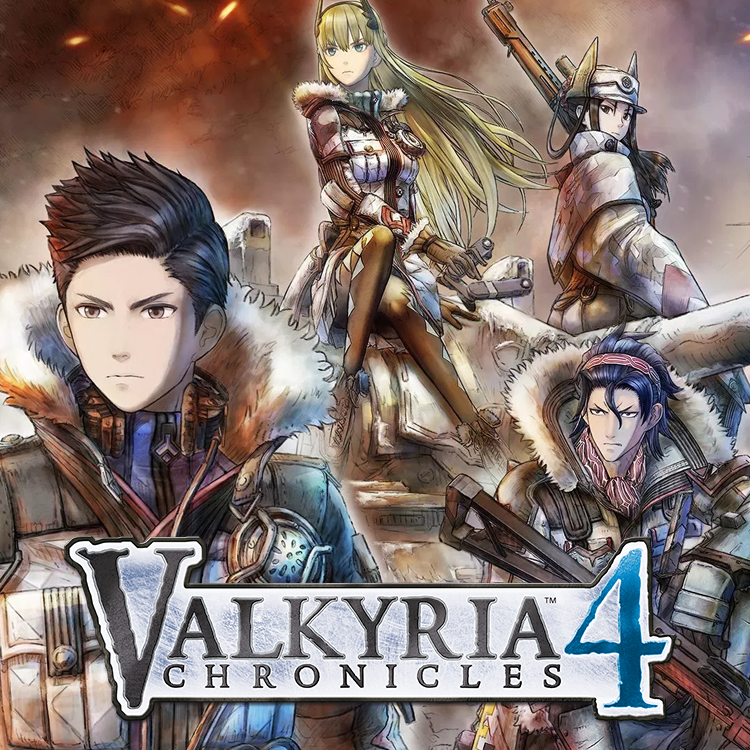 In this blog post, I’m going to cover four things: what is Valkyria Chronicles, The moment-to-moment gameplay of the series, what is Valkyria Chronicles 4, how the series has aged and what changes could be made to Valkyria Chronicles 4 and the series going forward. I loved Valkyria Chronicles 4, and it is a worthy entry into this franchise, but there are aging qualities that I will go into in this post. If you’re familiar with the series, skip to the VC4 section. Also bit of transparency here, I haven’t played Valkyria Chronicles 2 and 3, so there might be some redundancies. INTRODUCTION - WHAT IS VALKYRIA CHRONICLES? I remember fondly of when Valkyria Chronicles came out in 2008 for the PS3. I was so enamored by it because it was a combination of things I love. The WW2 inspired fiction, a well-rounded cast of likeable characters, the beautiful almost sketch-drawn art style, and of course, the extremely fun and challenging gameplay. To get into detail, the story of Valkyria Chronicles takes place in a fictional Europe that was, like us, going through its second World War. Normally, those stories focus on bigger countries and their contributions. 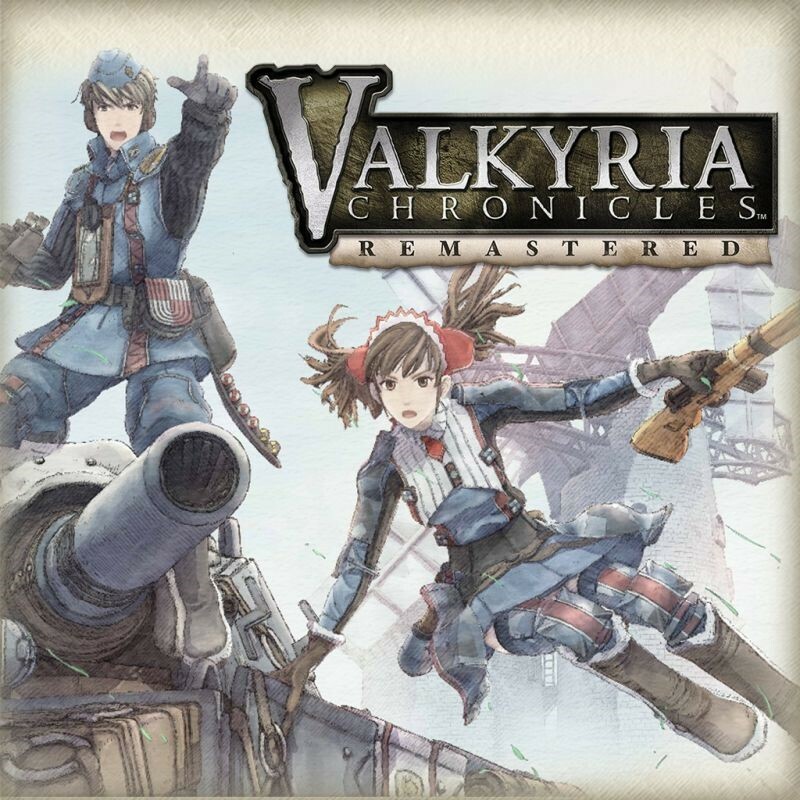 Valkyria Chronicles, instead, follows the story of a squadron of militia troops in the small country of Galia, that is caught between two big warring countries. Galia has an abundance of a precious resource called Ragnite, which powers most, if not all, of the technology in the game’s universe. Because of that, the country was put under the gaze of the Empire, which is our big bad in this series. Our protagonist in this story is Welkin Gunther, a Galian who has a particular fascination for nature and wildlife. He’s by no means a commander, but he will slowly learn to be one throughout the course of the game. The Empire began its invasion of Galia, starting with Welkin’s hometown. During the invasion, Welkin is assisted by a town watch guard, Alicia Melchiott. Together, they hold off the Empire for as long as they can before evacuating, leaving behind their homes. They go on to enlist in the Galian militia, and Welkin becomes commander of Squad 7. Squad 7 is comprised of many citizens-turned-soldiers with different backgrounds, likes, dislikes, and personalities that all affect their performance on the battlefield. Without explaining the entire plot of the game; Squad 7 would go on to fight back against the Empire. They will learn how to work together and grow both as people and as a team. They will learn of horrible war crimes committed by the Empire. They will fight almost god-like enemies and have a showdown with a giant tank that uses a magic spear like the Death Star laser. I wouldn’t finally beat Valkyria Chronicles till four years after its release in 2012. With constant restarts, and trial and error with certain difficult missions, it would be one of my most treasured memories. Now, let’s get into the nitty gritty of it all. Before we get to any analysis, we must first understand how the series plays. If you’re familiar with the series, you can skip all the way down to where I talk about Valkyria Chronicles 4. When you play Valkyria Chronicles, you’ll be getting two things. It’s one part Visual Novel and second part a hybrid turn-based RTS with RPG and action game elements. Those are two very contrasting genres of games, but they’re kept neatly together in Book Mode. Book mode offers itself as a menu to every aspect of the game. Truthfully, it’s probably one of my favorite design and aesthetic decisions of this series. In this mode, you have chapters which are either visual novel sections or missions. The visual novel chapters progress the story as you watch characters talk to each other. Missions are where you start battles, which we will get into a bit later. Squad 7 is comprised of five different unit classes that all work together. There are Scouts, a fast moving, lightly armored semi-auto rifle unit. Shocktroopers, the general vanguard of any defense, toting full-auto machine guns and medium armor. Lancers, the heavily armored slow-moving anti tank unit. Engineers, your general support unit, responsible for resupply, repair, and defense maintenance. They function similarly to Scouts, but have the lowest armor value of any unit. And lastly, Snipers, the glass cannons of your squad. They can deal a lot of damage across long ranges, but are slow-moving and light armored. Adhering to the RPG side of the game, every class has a unique stat sheet. They have their Health Points (HP), Action Points (AP), unique skills (called potentials) that activate when certain conditions are met, defense, evasion, and finally, who in Squad 7 they like. Going down the list, HP is the total amount of damage they can take. AP affects how far they can move on the battlefield; this is determined by class and is not unique. Potentials are unique for every unit, and can be something like a defense boost or an attack down modifier. Defense works with a unit’s HP to determine how much damage is taken. A lower defense means more damage and vice versa. Evasion is a chance modifier for a unit to dodge an incoming attack. Finally, Likes are one of the most unique aspects of the game. Soldiers come with already set relationships, and when those units are around each other, they get a boost to their stats. As mentioned before, missions are accessed from Book Mode, and there are usually one or two a chapter. Before you begin a mission, you are given a briefing covering a general synopsis of the battle ahead. After that, you’re able to start positioning your units on the battlefield. Your team makeup can consist of whatever you want, but there is a limit to how many units you can sortie out at once. Once the mission has begun, you’re greeted with the command map, which you can see in the screenshot below. The most important factor here is your Command Points, or CP. CP allows you to take control of your units at the cost of CP. Selecting an infantry unit costs one CP, whereas a tank costs two. Once you’re out of CP, your turn is over, and it is now the enemy’s turn. Hovering over a unit shows you who they are. Confirming your selection takes you to a view, similar to the screenshot below. You are now taken to a third-person behind the character angle and are able to move around the map. Remember how AP was discussed previously? This is where it comes into play. As you can see, Rosie has been selected, and she is a Shocktrooper. Shocktroopers have relatively low AP, but more than a Sniper or Lancer. Rosie has moved a bit, so her AP bar has gone down. If she runs out of AP, she will not be able to move anymore, and the player will have to relinquish control. As a character moves around, enemy units may attack them if they’re within range. Range is indicated by the curved lines connecting your unit to the enemy’s. This is known as “Interception Fire”. All units, except Lancers and Snipers, are able to shoot roaming units. Interception Fire stops when you enter Targeting Mode. Here, you are able to aim the character’s gun as if it were any other shooter. You can see in the screenshot below that you’re shown how many shots you have and how many it would take to kill the targeted enemy. The orange circle on the crosshairs represents the equipped gun’s accuracy, so, a wider circle means more spread, but a tighter circle means accurate and consistent shots. Scouts, like Alicia, use semi-auto rifles, so their accuracy is general good. Once you’ve lined up the shot, you hit confirm, and the character automatically fires off their shots. If they don’t defeat the enemy, then they will fire back at you. Once you’ve used an attack, you are unable to do so again. Units are still free to roam around if they have any remaining AP, but as mentioned before, you will have to end their turn. Of course, you have the option of selecting this unit again, but with each use, they will have less and less AP to use. As far as other actions on the battlefield, units can take cover behind sandbags to reduce incoming fire, climb ladders to reach vantage points, capture enemy bases, and hide in pockets of grass. The last topic to discuss in this category is the use of Orders. Orders are essentially abilities that can used once per turn. They can provide boosts in evasion, damage, defense, etc. to a single unit or your entire squad. They all have their own CP cost, and you can chain them together to pull off some crazy strategies. Story missions in Valkyria Chronicles usually have a special condition to achieve victory. For example, there are some missions that feature enemy bosses on the field. Generally though, the main objective to securing victory is to capture the enemy’s base camp. Skirmishes are optional battles that can be accessed from Book Mode. They take place on the story maps but don’t have any special win conditions. They act as a way for you to earn additional Experience Points for your units and Ducats (DCT), which allows you to upgrade your tanks and equipment. Headquarters is a tab on Book Mode. Going here, you can do a number of things, but the most important are the Squad Barracks, The Command Room, Training Field, and R&D Facility. The Squad Barracks allow you to set equipment on your units. The Command Room is where you decide who is on active deployment. The Training Field is where you put EXP to use, allowing you to level up your troops, increasing their stats and unlocking new gear. And lastly, the R&D Facility lets you create new equipment for your tanks and infantry. That should give you a very basic look into how Valkyria Chronicles plays. We’ll be moving on to Valkyria Chronicles 4 now to talk about the additions it brings to the series. After that will be the analysis of the series and how it can be improved. After ten years, with two sequels and a spin-off, we’ve finally arrived at what fans have been wanting: a true successor to Valkyria Chronicles. VC4 takes place chronologically alongside the first game, but this time centered around one of the bigger nations in the war: The Atlantic Federation. Our protagonist this time is Claude Wallace of Squad E. With him are his friends Raz, Riley, and Kai. Like Welkin and Squad 7, they are all citizens of Galia, but Claude and friends decided to fight alongside the Federation. Because of this, Galia takes a back seat as the main setting for Valkyria Chronicles games. Instead, Squad E is tasked with an impossible mission called Operation Northern Cross. The mission: to punch through Imperial territory and capture their capital, forcing them to surrender. Like the first part of this blog, I’m not going to delve into the story of the game. I’m going to be focusing first on what’s new with Valkyria Chronicles 4, then the parts that show the game’s aging qualities. If you’re like me, and the last Valkryia Chronicles game you played was the first one, then Valkyria Chronicles 4 is going to feel very familiar. With it though are some welcoming additions that expand and enhance the game. Valkyria Chronicles 4 introduces a new type of class, and changes how certain classes behave. The new class is called “Grenadier”. These units are essentially your mobile infantry artillery. They carry a giant mortar with them, which gives them the ability to hit enemies from extreme distances with explosives. However, Grenadiers aren’t well armored, so if they’re out in the open, they probably won’t survive. Like other units, they’re able to use Interception Fire to attack moving enemies, which can be essential in creating effective defenses. Other units have also received an update. Snipers, for instance, are able to use Interception Fire and tanks, which usually would cost two CP, now only cost one, making them more viable as an option. Speaking of tanks, we also have a new type of tank in the form of an APC. This type was featured in Valkyria Chronicles 2, which was released on PsP and on Valkyria Chronicles 3, which never saw a Western release. The APC is able to carry troops safely across the battlefield. The APC isn’t as strong as your main battle tank, so it’s best suited in the support role. Your squad members also rank up as they’re deployed. If you get a unit up to the rank of Corporal, you’re able to make them a special character, which gives you an additional CP point when they’re deployed. You can only give this to one soldier, but you are able to switch out who gets it whenever. Lastly, a new feature was added called “Command Mode”. Command Mode allows you to select a leader, like Raz for example, and give them the ability to group up with two other units. Using this also replenishes the characters AP, so you can essentially use a unit twice to their fullest potential. You can only use Command Mode once per turn, so developing a plan with it in mind is key. A complaint I would have for the first Valkyria Chronicles is that I never felt like I got to know my squad outside of reading their bios. Valkyria Chronicles 4 changes that with the addition of Squad Stories. These are optional missions that can be triggered by having a certain group of characters deployed. The stories are short, but they offer enough character to your squadmates to make them feel more involved in the bigger picture. There have been a handful of UX centered additions that I appreciate a lot. All of them include making your squad’s loadout much easier to access in other parts of the game. For instance, in Valkyria Chronicles, you had the Command Room to switch out your active and reserves troops, and then the Squad Barracks for changing your active units’ loadouts. In Valkyria Chronicles 4, those two menus have been merged into one, under Command Room in the HQ menu. Additionally, you’re able to access the equipment part of the Command Room from the R&D and briefing room menus. It makes it much easier to equip soldiers with new gear when you research it, and when you’re about to begin a mission. 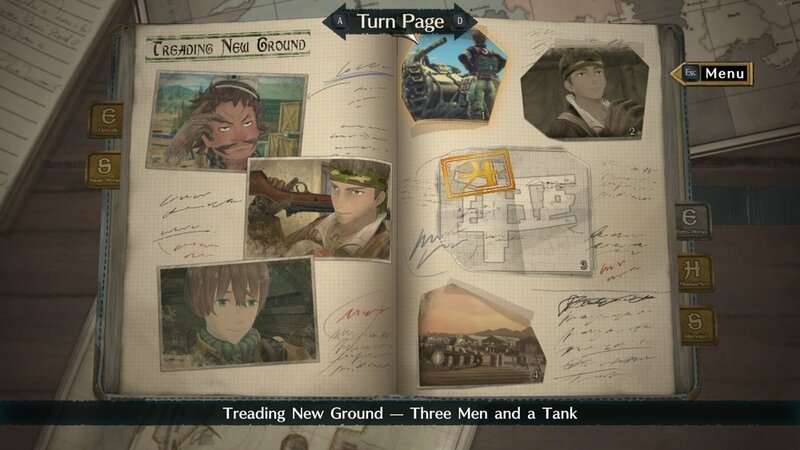 In Valkyria Chronicles you’d have to exit the briefing room, go back to HQ, and then change your equipment. About half-way through the campaign, you unlock the Centurion, a large ship that acts as your new headquarters. With it, you gain a new type of command during battle called Ship Orders. The Centurion mostly functions as a support unit as you’re able to use its armaments. For example, you have the option of revealing enemy units in a specific area, firing off artillery, sending emergency aid to pick up downed soldiers, and reviving any destroyed tanks that you may have lost. A frustrating part of Valkyria Chronicles was that if at any time during a mission Welkin were to die, you would automatically lose. This made you use him very cautiously, which feels very contradictory with how powerful the Edelweiss was. Thankfully, in Valkyria Chronicles 4, if the Hafen (the tank Claude rides in), were to be destroyed, it wouldn’t mean complete failure. You’d lose the ability to use orders, but you could still potentially win, you’d just have to be more cautious. While these are welcome additions to the series, there are still parts of Valkyria Chronicles 4 that feel dated and unfixed from the first game. This section may feel nit picky, but the points I’m going to make are observations I’ve noticed while playing. This is also not a knock to how Valkyria Chronicles 4 looks, but more so how it doesn’t feel any visually different than the first game. Compared to other similar aesthetic titles that have come out recently, Valkyria Chronicles 4 feels like a step down from all of the advancements in graphical fidelity in recent years. Titles that come to mind for me are Ni No Kuni 2 and Dragonquest XI. Both of those games have an impressive level of detail, which is thanks to the amazing cell-shading done by the engines running those games. Valkyria Chronicles could keep the sketchbook-like filter that everything has over it, but with some more additions to texture detail, lighting, and cloth and hair physics. Additionally, there are many reused assets throughout the game. Many background characters are the same faceless soldier, and there seems to be no diversity in appearance. Animations from the first game, too, are apparent in the visual novel parts of the game. The reusing of assets is by no means a bad thing, I want to point out. Sometimes development time needs to be spent elsewhere, and the team can’t afford to spend time on small details like that. There’s a lot of waiting in Valkyria Chronicles 4. When you give an Order or a Ship Order, you can’t skip the cutscene that follows. When you upgrade a weapon, Miles the engineer interrupts you with unnecessary dialogue. When a character’s potential activates, you can’t skip the animation that plays. Any type of cutscene on the battlefield is unskippable. Mainly, there are a lot of cutscenes and small pieces of dialogue that feel unnecessary and should be taken out or be skippable. They’re elements that, at first, look awesome and cool, but over time they start to get old, and you just want to get the battle over with quicker. Something that plagued the first game was how overpowered certain Orders and Scouts felt. The biggest offender to this was Alicia, because she had potentials that could give her buffs to every single one of her stats. In combination with the Defense Boost Order, Alicia easily became the most powerful and unstoppable unit in the game. This problem mostly stems from how much the Defense Boost buffs a units’ defense. Essentially, you could have any unit run right past a line of tanks and still survive. It was simply too powerful of an ability. This tactic is still viable in Valkyria Chronicles 4. For all the skirmishes, I used it to easily farm for XP and DCT without any trouble at all. Some of the suggestions I will make might only apply to Valkyria Chronicles 4. However, there will be a majority that I believe could improve the series as a whole. While the Centurion is an awesome unit to have as support, it didn’t feel viable in most situations. Additionally, there were a handful of missions were you couldn’t use it, so I never gave it much attention. The more useful abilities it had were being able to rescue downed allies, and getting tanks back out on the field. The other two abilities, the bombardment and the radar, didn’t feel worth using. This is mostly because I felt that infantry could easily do what the Centurion could, but more effectively. Also, the range for using these abilities depended on where Claude was, so you could only use them within his radius. To make the Centurion useful too required upgrading through R&D, but the main storyline would only get you through the first two or three tiers of upgrades. 1) open it up to more missions instead of locking it behind a select few. Understandable in all situations that was for story purposes, but considering you don’t get the Centurion till well over half way through the game, you don’t get many opportunities. 2) change the ammo type on the bombardment. For example: being able to switch between a high explosive ordinance or a smoke shell to cover an area for infantry. This could introduce using it to aid in an advance. The Hafen can already equip Smoke Shells, but that requires taking up a slot on its equipment that could be used for something else. 3) tighter aim on bombardment. If the bombardment had a much smaller area to strike, but was powerful enough to take out a tank, I think you could find more use for it. To not make it too powerful though, you would have fewer amount of charges than you had originally. Valkyria Chronicles 4 introduced challenge skirmishes that feature new objectives. This addition is fantastic, and offers a great way to test your skills against tougher foes. However, I still think that, even in the general skirmishes, there should be a variety of objectives. When the objective is “Capture the base” this doesn’t prevent players from using the “Scout cheese” method. The team at Sega put the time and effort to curate these missions, and it’s quite sad to see them be so easily exploited. In addition to what the challenge skirmishes offer, here are some ideas for objectives that could give variety and potentially stop people from using exploitable tactics. 2) Eliminate a high value target. This unit could either be a soldier or a tank that is heavily guarded and the player must take them out. Missions like this would involve the player taking on a wall of enemies, before getting to the HVT that’s probably in the back. The player could probably use a sniper to easily take out this target, so to prevent that, this unit would function like boss units in that you will need to get a surprise attack on them. 3) Defense mission. This is a wave-based defense mission in which the player must defend a base that is surrounded by enemies. These missions would have bracketed rankings. For example, if you survive for 10 turns, you get an A. If you were to survive for 7-9 turns, you would get a B, and so on. 4) Take and hold. Similar to the a standard skirmish objective, you have to capture a point, but then you have to defend it from enemy reinforcements. Similar to the defense missions idea, scoring for these would have to be slightly reworked. Of the two ideas I have, scoring would either occur from the point the mission starts, or when you finally capture the base. For the sake of avoiding people from cheesing the system, I believe scoring should start right from the beginning. The biggest offender of all the orders is most certainly the Defense Boost order. For example, if you give this order to a scout, which is the third weakest unit you can have (snipers being first, then engineers), most damage they take only drops their health by 1. In my testing, the only unit that becomes a problem is a heavy machine gun emplacement, but getting around those isn’t especially difficult. This order, too, is the root of most of the cheap tactics that you can pull off. Reworking this would help fix some of that other areas in the game, like skirmishes, that suffer because of this. The first test that I believe should happen is simply lowering the amount of defense you gain from the order, and see how that affects the units performance. It’s a tricky one, because you want the player to use the order because it really should be something useful, but you don’t want to overpower the ability, which is where we are right now. With the addition of Grenadiers, you’re able to move the camera up above them to see the arc of the mortar shell. This is a good addition, but it isn’t perfect for every situation. A lot of times while playing, there’d be a giant wall in my way that prevented me from seeing where I was actually aiming. To improve this, being able to see an overhead perspective of where the shell is landing would ensure that you’ll always know where it’s going to land. Additionally, this feature should be extended to all units that use some sort of arc like grenades, lance mortars, and HE tank shells. 1) The option to skip battle cutscenes. To give an example of what that is, in the final boss fight of Valkyria Chronicles 4, the boss is this big amphibious tank that, when it dives underwater and surfaces, there’s a cutscene. You can’t skip that, and as the battle is progressing, having to watch that over and over gets frustrating. 2) Vaulting in Valkyria Chronicles could use a rework. Currently, to vault over sandbags you have to keep pushing your unit into it. This works, but isn’t always perfect, as I’ve had many occasions where I want to move closer to the sandbag, but I end up vaulting over it. A way to fix this could be switching the controls around. Using Xbox controller terminology, B functions as the end turn button. For this, B will be replaced by the new vault button, and end turn will be moved to the menu button. This way the player won’t have to worry about every accidentally vaulting over something unless they specifically hit B. 3) A visual element that tells you an enemy unit will attack while on the move. Certain units, generally boss units, can attack your units while they’re moving. This is a characteristic special to them, so giving them a warning icon on their name will help with planning your moves. 4) The ability to move through your units. This would apply to infantry and not tanks. Sometimes, because of the collision on units, you might get stuck in certain spots, or on narrow pathways. This means you’ve wasted some CP because you had to move your units a hair out of the way. If you had the option to move through your units, this would help with that. This would come with some safeguards, though; you don’t phase through your unit right away. After about 2 seconds of pushing into them, their colliders will disable for just each other allowing the unit you’re controlling to pass through. You can’t end your turn inside a unit. There would have to be available space past the the unit you’re trying to pass through. There will be a lot of technical work to make this right. In a 3D environment, there are more variables to consider than a 2D world, but I believe this would be a worthy addition to making the battlefield more navigable. 5, Confirmation for if you want to equip your tanks. Small detail, but when you’re in R&D and you’re upgrading your tanks, you are automatically brought to another menu. It would be better if the player was given a confirmation box if they would like to go to this menu. As the game stands now, there is very little on the battlefield to interact with. Now, obviously, there are elements in maps that are unique, but usually those are only for that one specific mission. For example, in one of the later missions, you can destroy patches of ice to section off certain parts of the map. There is nothing wrong with level design like that; in fact, it’s a welcome addition. 1) Environmental cover. I’ve mentioned before the places where you’re able to take cover, but with the addition of being able to use the environment could open up new ways of play. With this addition though, the defense boost would have to be adjusted or removed. If adjusted, units would gain a defense boost unless the enemy flanks them. This would make holding a position all the more important. 2) Working alongside the first point, ability to shoot from behind cover. You can do this with sandbags, but if you were able to use the environment, such as walls, as cover, then you could hold certain chokepoints with more certainty. 3) Unit ability additions. Specifically Engineers, as they are now, function purely as support infantry. I believe though they could do with more on the battlefield in addition to resupplying, repairing, and defusing. What if Engineers had the ability to setup sandbags and plant mines? Engineers use a new building item to place sandbags or mines in a small radius around them. 4) A more technical adjustment, but better collider geometry. It’s very unclear sometimes where the actual collider is for an object or the terrain. In some situations, they feel more bulged out, and this becomes more noticeable when you’re moving tanks through areas. 1) If environmental cover was added, the defense boost gained from it would have to be adjusted. As the game is, you have a defense boost as long as your behind sandbags, but now, if cover was extended too much more, this could become exploitable. You could effectively move from cover to cover with little trouble at all. A solution to this would be the adding of a flanking mechanic. To give an example: say you have a unit taking cover behind a waist high stall. If an enemy unit were to attack head on, your unit would have a defense boost against that attack. However, if that enemy unit went around the cover, which would be riskier because it leaves them exposed to more Interception Fire, they could attack, and your unit wouldn’t have the defense boost because they’ve been flanked. 2) Shooting behind cover (like walls for example) could prove to be a risky inclusion because it would be difficult to counter it. The two ways I can think of would be either to flank that unit, or use grenades to get them out of cover. 3) These changes to the Engineers would have to have certain restrictions. Restrictions like not being able to place sandbags or mines so close to each other. Engineers only have a few charges to building sandbags and placing mines. They cannot build or place anything if an enemy is near, as in the enemy can’t be in a certain radius around them. Valkyria Chronicles 4 could have been better, but it wasn’t necessarily a bad game. I enjoyed my time with it, but as I’ve shown, there are parts of it that don’t hold up anymore. Whatever Valkyria Chronicles 5 is going to be, I hope that Sega will take all of the feedback and criticism they’ve received and apply it forward. I hope you’ve stuck through this blog post! It was a long one to write for me (I’m a terribly slow writer, haha). For the next blog post, I’ve decided that I’m going to cut down explanation more and get straight to the analysis. This one is about 75% explanation and 25% analysis, so I’ll continue to work on that. Anyway, thank you for reading!